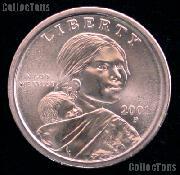 This listing is for a 1993 Thomas Jefferson Coinage and Currency Set. This set includes an Uncirculated 1993-P Thomas Jefferson 250th Anniversary Silver Dollar, an Uncirculated 1994-P Jefferson Matte Nickel, and an Uncirculated 1976 Jefferson Two Dollar Note. 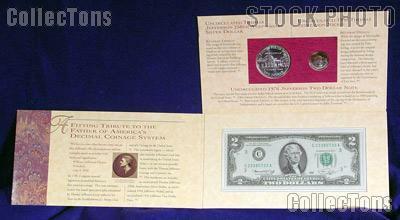 The original U.S. Mint packaging with information pamphlet is in great condition and included. The coins may have some light toning, but the quality of these sets is excellent. This limited offering won't last long!